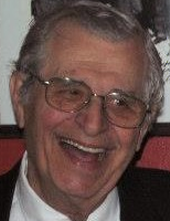 PARAS, JOHN J. of Norwood passed away on April 8, 2019 at the age of 91. Beloved husband of Mary T. (Kelly) Paras. Devoted father of Claire Paras and her husband Glenn Smith of Bedford, John Paras and his wife Melanie of Milford, Brian Paras and his wife Mary of Hopkinton, Gerard Paras and his wife Dianne of Weymouth, Joseph Paras of Norwood and Caroline Paras of Norwood. Brother of Stella Bulgaris of Randolph, Sofia Paraskevas of Bourne and Mary Paraskevas of Bourne. John is survived by his grandchildren Alexander & Rebecca Smith, Brendan, Meghan, James, Emily, Jack, and Katie Paras. Also survived by many beloved nieces and nephews. Son of the late James and Artemesia (Papachristo) Paraskevas. Funeral from the Kraw-Kornack Funeral Home, 1248 Washington St., Norwood MA, on Saturday April 13, 2019 at 8am followed by a funeral mass at 9am at St. Catherine of Siena Church, Norwood. Visiting hours will be held on Friday April 12, 2019 from 4pm – 8pm. Burial with military honors will be at Highland Cemetery, Norwood. John was a U.S. Navy veteran, serving during WWII and Korea. He also was a 4th degree Knight and PGK with the Knights of Columbus of Norwood. John grew up in the Mission Hill section of Boston. He earned a Bachelor of Science degree from Northeastern University, and also attended MIT and Wentworth colleges. He worked 35 years as a mechanical engineer for Polaroid Corp. Donations in John’s name may be made to Father Bill’s Place, 38 Broad St., Quincy MA 02169. To plant a tree in memory of John J. Paras, please visit our Tribute Store. "Email Address" would like to share the life celebration of John J. Paras. Click on the "link" to go to share a favorite memory or leave a condolence message for the family.